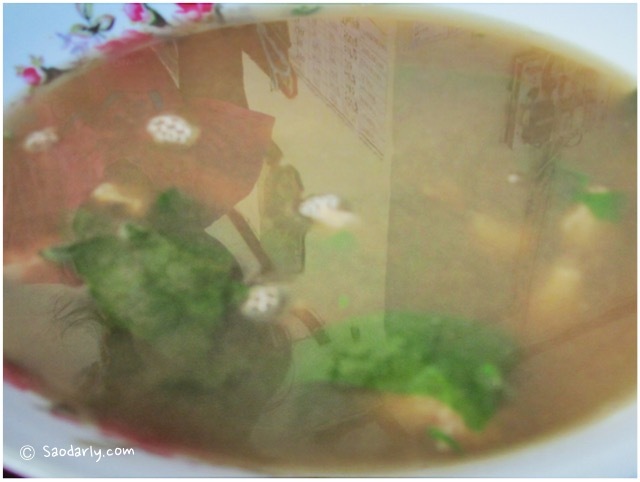 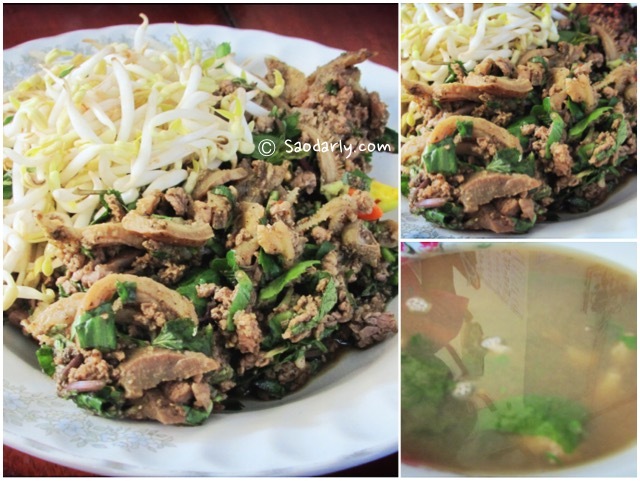 Lao Minced Beef Salad (Larb Sien; ລາບຊີ້ນງົວ) and Beef Soup (Kaeng Sien; ແກງຊີ້ນງົວ) for lunch in Vientiane, Laos. 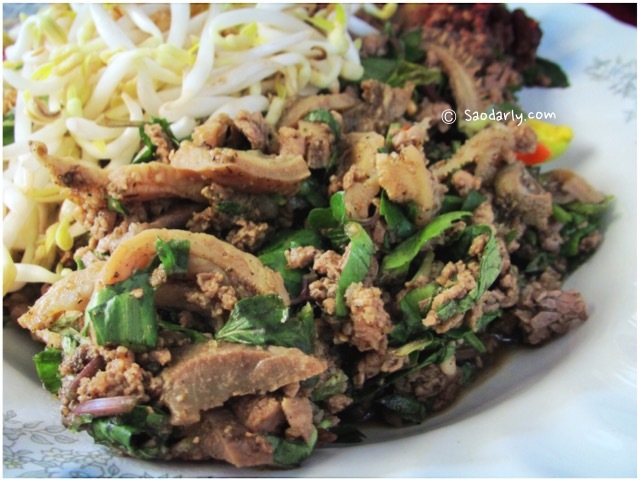 I went to Kok Pho Market, which is a few minutes from Wattay Yai Temple and ordered two sets of Larb Sien with Kaeng Sien (beef soup) to take home for lunch. 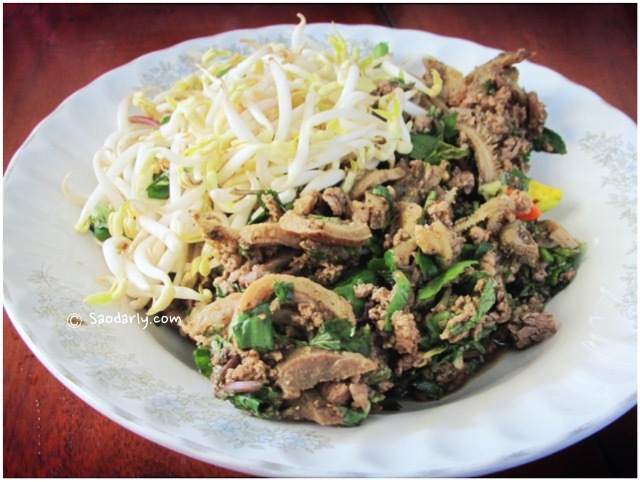 It was a nice lunch to share with my relatives with plenty of freshly cooked sticky rices, herbs and vegetables served on the side.